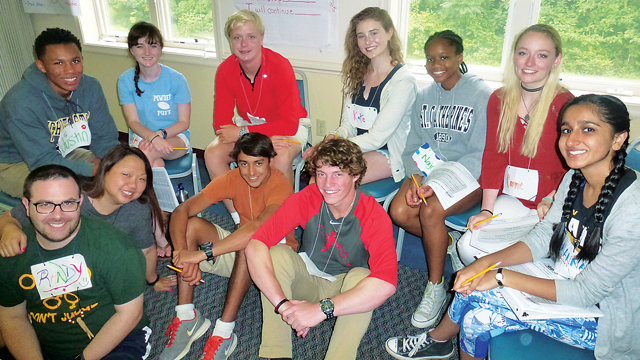 “I really felt at home – like it was a place where I belonged – which, unfortunately, isn’t something I can say every day,” said Alex, a sophomore in high school who had recently completed a week-long retreat through the Virginia Center for Inclusive Communities (VCIC). That VCIC summer retreat, officially called the Harold M. Marsh Sr. 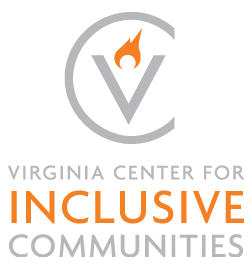 Connections Institute, is just one of many programs facilitated by the Virginia Center for Inclusive Communities. Founded in 1935 as Virginia’s office of the National Conference of Christians and Jews, VCIC today leads forums, presentations, and trainings, and offers consulting services for more than 20,000 people annually with a goal to help participants become more successful by being more inclusive. During VCIC programs like Connections, participants are guided through a structured action-planning process. When they return to their schools and communities, they have projects, activities, and initiatives to pursue to foster a greater sense of inclusion among their peers, co-workers, and neighbors. Charm Bullard is a co-director of VCIC’s Connections retreat. According to Bullard, at one participating middle school, VCIC program graduates led efforts that resulted in a 74 percent decrease in discipline referrals within one year at the school. Another school district saw a 45 percent decrease in suspension rates over a 5-year period after working with VCIC. “VCIC programs are carefully designed and facilitated to allow participants to build trust, share openly, and listen deeply,” says Bullard. The Virginia Center for Inclusive Communities has a vision: a Virginia where every person is included, and where prejudice, intolerance, and fear of facing those issues don’t stand in the way of success for schools, businesses, and communities. The change can be seen across the campsite by the third day. 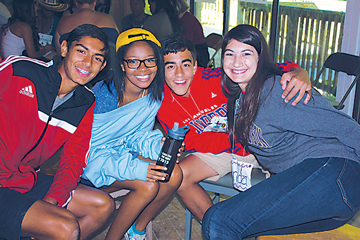 “There are diverse groups deep in conversation around a picnic table, students laughing and joking in the cafeteria, and people sharing things about themselves in small group discussions that they have never told others before,” says Hawthorne. According to Bullard and Hawthorne, parents consistently report to VCIC that they see positive changes in their children when they come back from the Connections week. After just five days at the program, kids are more interested in talking about social issues at the dinner table; their friend groups become more racially and religiously diverse; and they are more passionate about being upstanders – instead of bystanders – when they see bullying or bias. “A wide body of research shows the positive benefits of these kinds of programs for students who want to feel a sense of belonging in schools,” says Hawthorne. She adds that students who don’t fear bullying in schools and see themselves reflected in the curriculum are more likely to attend school, raise their hands, and do their homework. Overall, their behavior and engagement improve, resulting in improved academic and social outcomes. Previous articleInspired Play for All at the ARCpark!